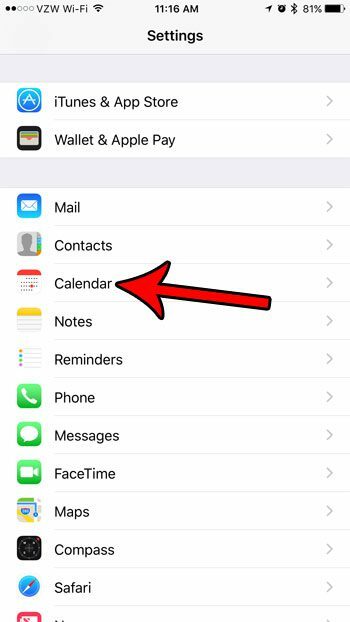 The Calendar app on your iPhone is a great way to manage your schedule. Adding an event is a short process through the app, and can even be done with Siri’s assistance. But a crucial element of a calendar system for many phone users is the alert that you receive before a scheduled event is about to occur. 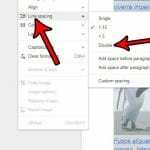 While you can manually set an alert time as you create an event, it’s very easy to forget to do. Unfortunately, depending on the current default alert time, this can even mean that you aren’t going to see an alert at all. 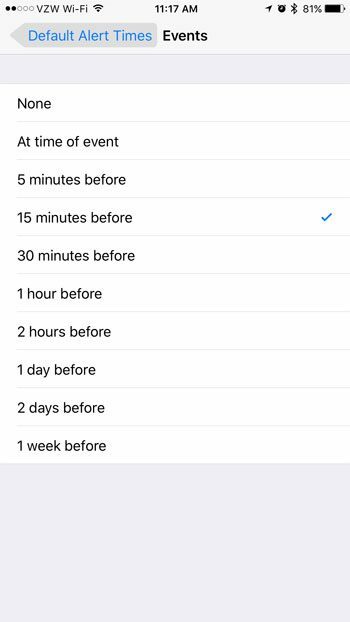 Fortunately the default alert time is a setting that you can pick, thereby ensuring that any future events you create will send you an alert at your chosen time before that event. 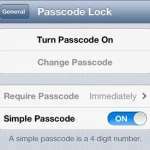 The steps in this article were performed on an iPhone 7 Plus in iOS 10.3.3. 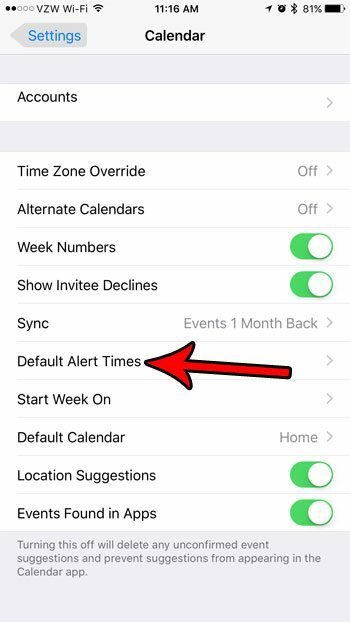 Adjusting this value will affect the default amount of time before an event that you will receive an alert. There are separate settings for Birthdays, Events, and All-day Events. I am going to be changing the setting for the Events option in this guide, but the process is the same for the other options as well. Step 2: Choose the Calendar option. Step 3: Select the Default Alert Times option. Step 4: Tap the Events option. Alternatively you can select the Birthdays or All-day Events options instead. 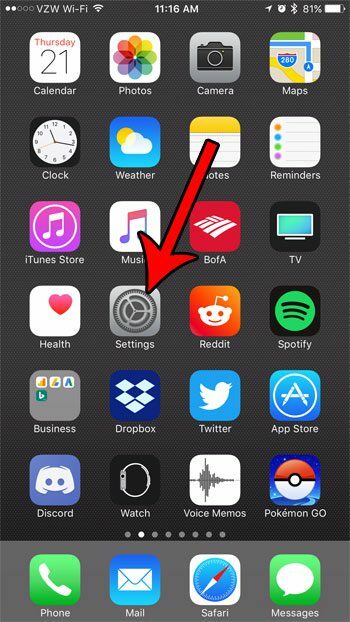 Step 5: Tap the amount of time before an event at which you want to receive the alert. 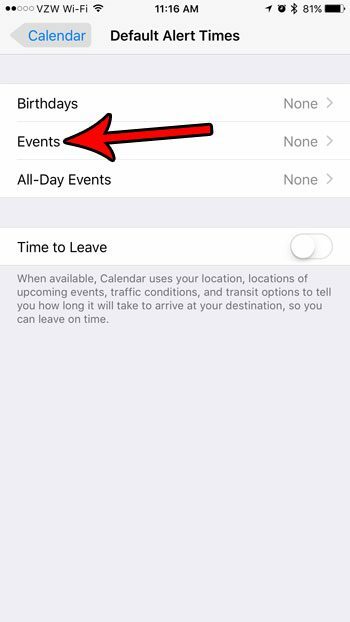 Future new events that you create the Calendar app on the iPhone should now have that default alert setting. Existing events will not be affected. Maximizing your storage space is a constant struggle for many iPhone owners. Our iPhone storage guide can give you some tips and ideas on ways that you can free up storage space for new apps, music, pictures, and movies.